I’m not going to pretend that I know anything of consequence about politics. I realize that it’s a large job to run a country, a province, or a town/city successfully. I realize that it requires making difficult choices that may affect some constituents negatively in order to affect the majority of constituents positively. 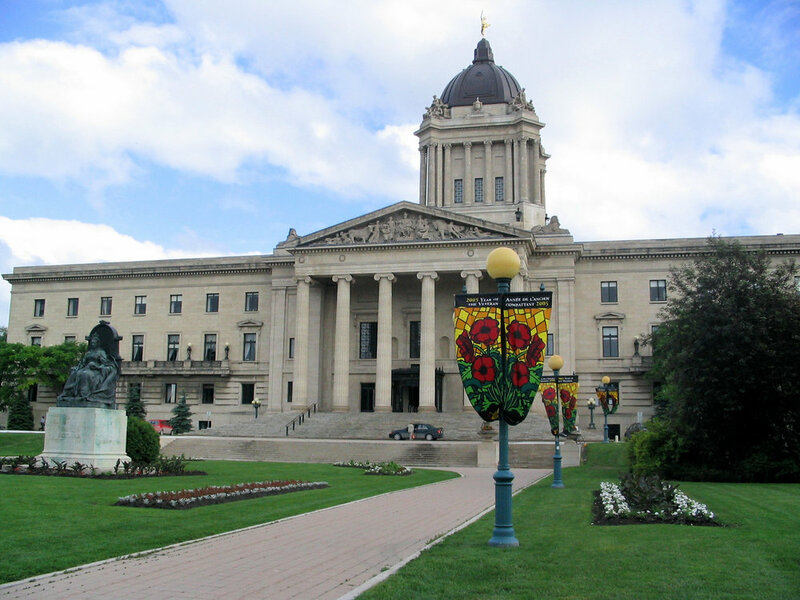 I also realize that Manitoba’s government does not do it any favours in terms of growth. While there are many who are glad to see the Progressive Conservative (PC) Party in power in Manitoba, I can’t say I count myself amongst them. The New Democratic Party (NDP) certainly had its faults, but as a whole, I felt that it did more for my generation than the PCs do. This is not meant to start a flame war about Parties and their moral views; this is not meant to be a criticism one way or the other about our country’s leader. This is a personal opinion that I hold based on what I have seen in my community. In the year and a half since he was elected in April, 2016, Premier Brian Pallister has made several cuts in provincial funding to everything, including education and health care. The effects that this campus in particular has seen include the rescinding of funding amounting to $12 million promised to Brandon University by the previous NDP government. This funding was to be used for the construction of affordable housing units for students with families, something that the University has been pushing for and sorely needed for many years. With the promise of financial aid for this project prior to April 2016, the University had acquired property at 2320 Louise Ave. to be used for mature student housing, as was previously reported in the September 20th, 2016 edition of The Quill. Another effect of the Pallister government’s conservative funding on the Brandon University community is quite literally the amount of money the provincial government is giving the University in contribution to its running expenses. Previously, Manitoba had a freeze on the amount that universities were able to raise tuition per year to be no more than the rate of inflation. The Pallister government overturned this freeze. At an open house style meeting held in BU’s Harvest Hall in April of 2017, Vice President (Administration and Finance) Scott Lamont explained that the BU tuition would be raising over the next four years by 5% plus the rate of inflation, until tuition is the same amount as the next least-expensive post-secondary institution in Canada (as reported in the April 11th, 2017 edition of The Quill). While this raise in tuition may seem reasonable, the amount that the provincial government is bestowing in student aid is getting less generous, increasing the need for students to obtain closer-to-full-time employment in order to pay for the apartments that they must rent and the tuition and books that are getting more and more expensive. At the rate that tuition is rising, there are fewer incentives for Manitobans considering post-secondary to remain in-province, or for non-Manitobans to join our community to obtain their degrees. In addition to the inflated cost of education, the Manitoba PC government no longer offers tax breaks for professionals like pharmacists, doctors, and dentists to remain in province for the first several years of their careers. If the next generation has no financial incentive to come to Manitoba or stay in Manitoba, to me (a Millennial), it seems that something isn’t working. Another major area that has been effected by the Pallister government’s funding cuts is health care. There is undeniably a need for doctors, nurses, and health care aides. I know many people who work in the health care field, and they love their jobs. They are hard working, deserving people who take great pride and joy in helping others. This being said, the cuts in funding have made it difficult for them to find full-time work after years of education. Three emergency rooms in Winnipeg, our province’s capital and most populated city, have been shut down, leaving hundreds in the health care profession scrambling to find new employment. To me, a person who is unfamiliar with politics and economics, this does not seem to be a conducive way to run a province. Of course, spending a majority of your time either in a different country or being accused of using personal email accounts and cell phones to send confidential documents also seems like it’s hardly a conducive way to run a province.